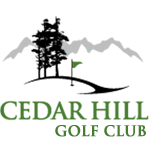 The Cedar Hill Golf Club Women’s Division consists of two groups: the Tuesday ladies, who play mainly on Tuesday mornings, and the business ladies, who play on Saturday mornings. The ladies have a full fixture list, including regular Tuesday and Saturday competitions, pin rounds, eight tournaments, and interclub matches. All women club members are eligible to participate in these fixtures by paying the appropriate entry fees. The ladies participate in Senior Buttons matches as well as other Zone 5 events. We host a wonderful Christmas party for the entire Ladies’ Division every year. A highlight of the ladies’ fixture list is the annual Cedar HIll Ladies’ Field Day. Once a day of golf followed by sandwiches, the event has evolved into a full-fledged charity tournament in support of Victoria Hospice. Participants come from southern Vancouver Island, the Lower Mainland, the Gulf Islands, and Greater Victoria. Since 1986, the Ladies’ Division has raised over $172,000 for Victoria Hospice through the annual Ladies’ Field Day event. Senior Buttons is a match-play competition between two-player teams from different clubs, played on a neutral course. Any member from a Zone 5 club over 60 years of age and a handicap factor of 32.4 may join the VISLGA for a $10 membership per season. Download more information here. Our ladies’ golf events this year are listed below.